H Lotus βάζει την Evora 400 σε δίαιτα και απαιτεί τα “μαλιοκέφαλά της” για αυτό. Τα 1.395 κιλά της κανονικής “400αρας” γίνονται 1.353, μέσω του Carbon Pack. Αυτό περιλαμβάνει τη χρήση ανθρακονήματος στο εμπρός splitter, στην οροφή, στο κεντρικό τμήμα του spoiler, στα καλύμματα των καθρεπτών, στο μεγαλύτερο μέρος του διαχύτη και στο πάνω μέρος του καπό. Μέχρις εδώ είμαστε στα 9 χιλιάρικα. Τώρα αρχίζουν τα ωραία, όμως. Τα παραπάνω “μέτρα λιτότητας” κόβουν 5 κιλά. Για τα υπόλοιπα 35 θα πρέπει να ξηλωθείς περαιτέρω. Η εξάτμιση τιτανίου τιμάται σε άλλα 7.000 ευρώ και η ελαφρύτερη μπαταρία ιόντων-λιθίου στα 1.900. Για την Αμερική, βάλε άλλα 200 ευρώ κατά μέσο όρο. Σύνολο: 17 χιλιάδες ευρώ. Για 4ο κιλά. Σε ένα ήδη ελαφρύ αυτοκίνητο. Για πιο οικονομική διέξοδο και αγωνιστική διάθεση, η Lotus προσφέρει την Evora 400 χωρίς καθίσματα και κλιματισμό. Αποτέλεσμα: κοντά στα 40 κιλά εξοικονόμηση βάρους, μηδενική επιβάρυνση. Πέραν της παράνοιας του Carbon Pack, η αγγλική εταιρία διαθέτει στον βασικό εξοπλισμό ποτηροθήκη και χώρο για μικροπράγματα. Μόνο στη Βόρειο Αμερική, όμως. Οι υπόλοιποι θα πρέπει να πληρώσουμε και για αυτό. 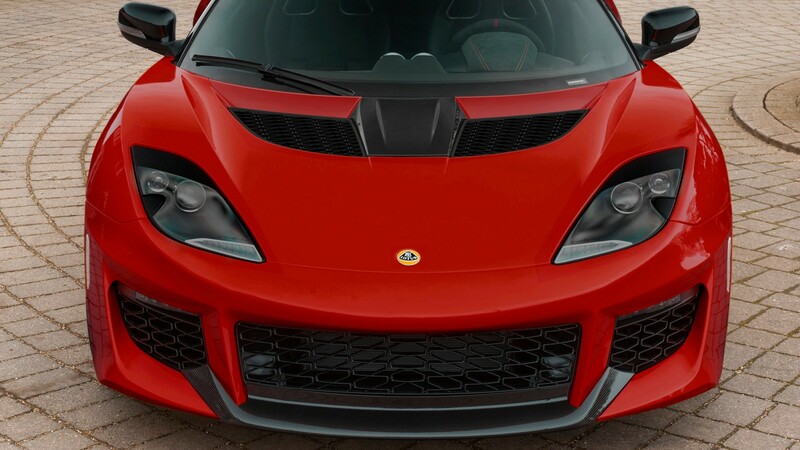 Once again doing even more with even less, Lotus is pleased to announce a selection of new lightweight options, including a new Carbon Pack, Lithium Ion battery and titanium sports exhaust for the Evora 400. No other car manufacturer can claim a better track record when it comes to light weight. 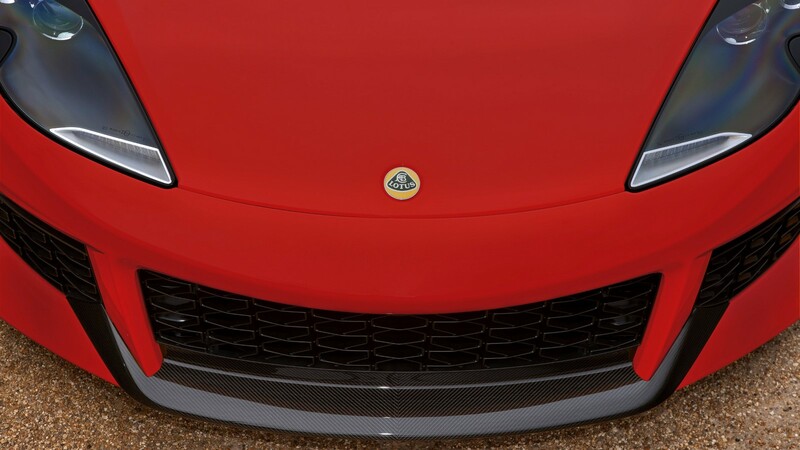 Now in its 68th year, Lotus still remains true to the ethos of the company’s founder Colin Chapman, and his approach to weight-optimised design and construction. 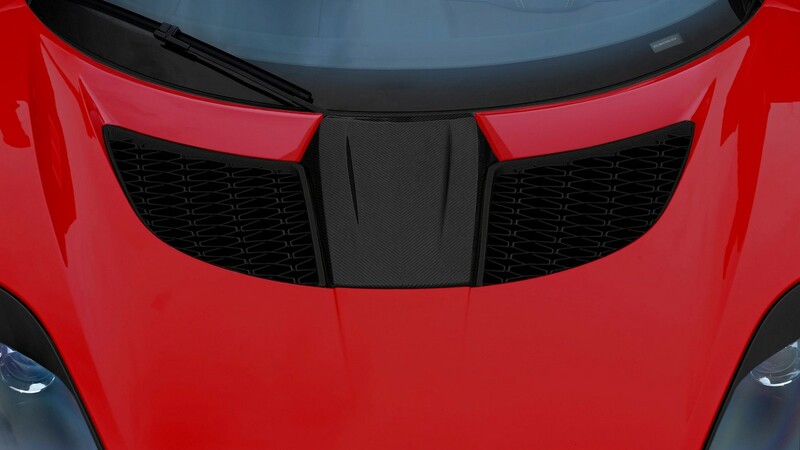 Available in all markets, the new Carbon Pack uses a number of components already fitted to the ultra-lightweight Lotus Evora Sport 410 as standard. 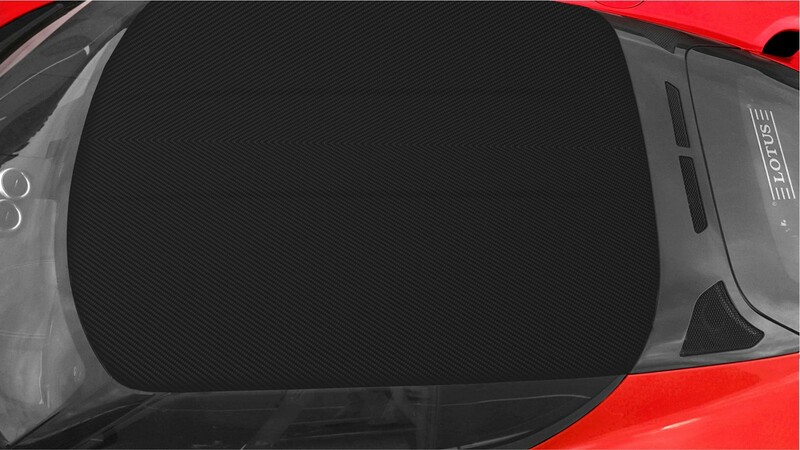 The Carbon Pack includes a front splitter section, roof panel, rear wing centre, rear diffuser finisher, front access panel and wing mirror caps. The hand-made parts cut mass by 5kg (11 lbs) whilst at the same time providing a contrasting and aesthetically beautiful carbon finish. Reducing weight still further, a lightweight titanium sports exhaust and lithium-ion battery can be specified, which each save a further 10kg (22 lbs). 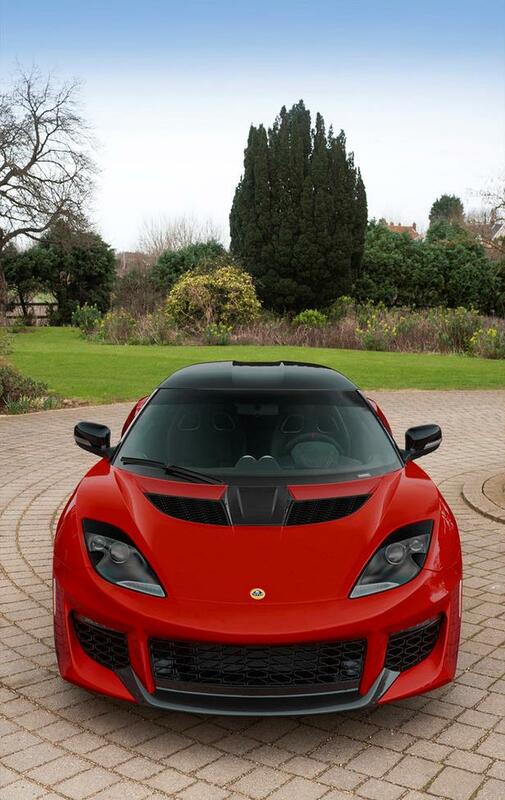 In addition, Lotus has introduced a cup holder and oddment tray to all Evora models. 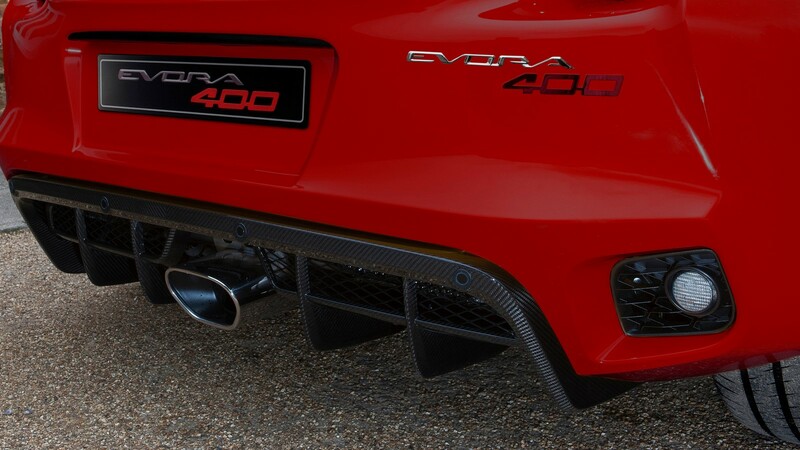 Fitted as standard to USA and Canada specification vehicles, it becomes an option for Evora 400 in EU and Asia. 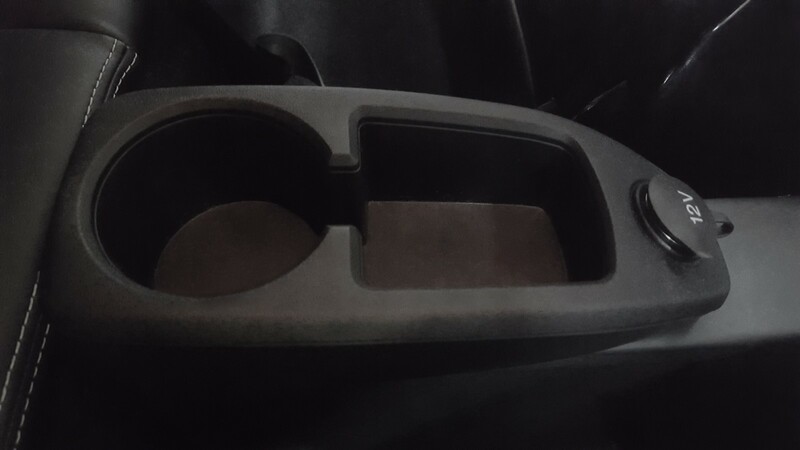 Weighing only 120 g (1/4 lb), the cup holder has an almost negligible effect on the overall weight of the car, and demonstrates perfectly how Lotus will bend to market demands whilst at the same time ensuring its core values of lightweight and purity are maintained. The new lightweight options for the Evora 400 join a number of existing weight saving measures, helping customers make the most of the car’s already impressive power-to-weight ratio. These include the deletion of the air conditioning system and specifying the 2+0 seating option. When combined, the lightweight options provide a combined saving of 42 kg (93 lbs) over the Evora 400’s already impressive low weight of 1,395 kg (3,075 lbs) * to 1,353 kg (2,983 lbs) and with 400 hp on tap, it offers a performance envelope that eclipses many of its substantially more expensive rivals. The optional Carbon Pack costs £6,500, €9,000 (Germany), $10,000 (USD), the titanium sports exhaust £5,500, €7,000 (Germany), $8,000 (USD) and the lithium-ion battery £1,350, €1,890 (Germany), $1,690 (USD). The deletion of air conditioning and the selection of 2+0 seating is a no-cost option. All prices are MSRP. * USA and Canada Evora 400 weighs 1,430 kg (3,153 lbs).